While you might see members of the Utah Ulster Project (UtahUlsterProject.org) marching in Salt Lake City’s St. Patrick’s Day parade along with other revelers, the group’s mission is to promote peace in Northern Ireland—not drink green beer. 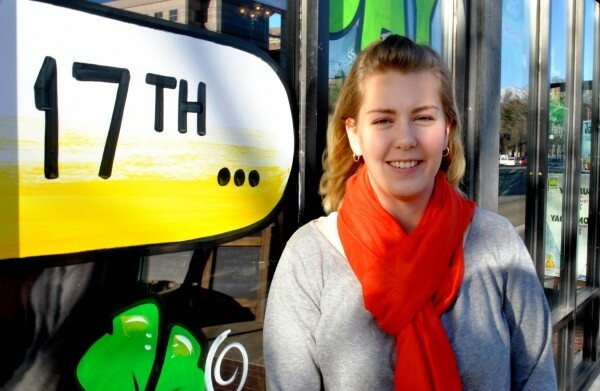 Megan Van Deventer of the group talked with City Weekly about St. Patrick’s Day and the Ulster Project’s programs, now in their 27th year. It’s an exchange program for Northern Irish teens. It’s to create peace in Northern Ireland between Catholics and Protestants. They’ve had much religious strife over there. So we bring the teens to Utah, pair them with teens we have here and create a month of peace projects, fun and discovering each other through enjoyable activities that help the Irish get away from their segregation and work toward better resolution. It’s split evenly. There are 12 teens that come over, and 12 teens that are here, and there are six Protestants and six Catholics on each side, and that’s also split by gender. What’s going on in Northern Ireland? They are still completely segregated in schools, neighborhoods and towns between the Catholics and the Protestants. Lots of bombings do still occur, usually on the local level—police officers tend to be targets. It is still pretty brutal on the day-to-day scale. There is an automatic recognition of what religion you are, and you do not associate with the opposite religion. Given that strife, is it difficult to get people who are willing to participate in the program? It is, to a certain degree. It’s much of a generational issue. Parents pass down to their children. By the age of 3, children understand the religious differences, and they can identify by school uniform—which everyone wears—and by last names, what religion you are. We try to get them at that younger age—when they’re identifying who they are becoming—and away from that influence. What effects have you seen come from the program? Since we target the youth, we see them go into their colleges and the workforce and spread a message of peace. The American side of it is more leadership-skill-based. But the Northern Irish teens start meeting in January before they come over here in July, and it’s much more focused on breaking down barriers, stereotypes and misconceptions they may have. They meet in neutral spaces—they can’t meet in churches, they can’t meet in certain restaurants. But they meet frequently for six months, and afterward they continue those bonds, which help break down barriers in their town. How do you match Northern Irish teens with families here? We make sure that they have a counterpart who is the same religion. For the Northern Irish, that is a big deal. They want to make sure they can get to church services on time. In some ways, they are less secular than we are here, so it’s important that we match the teens up with families who understand their religion and respect that. Our goal is that the 24 teens come together and break down boundaries, but that they also feel comfortable with their host family. Every day, the whole group gets together: 24 teenagers and four counselors—two Northern Irish and two American—and our leader, who runs the whole program. It’s 30 days of every day together. We do take one weekend off for family adventures. We also go up to Camp Tuttle, and on a river trip, but otherwise it is pretty much 8 a.m. to 5 p.m. daily activities. We do everything from service projects to going up to Lagoon and having a good time. How do Americans’ celebration of St. Patrick’s Day differ from the holiday in Ireland? We’re definitely more into the fun of St. Patrick’s Day, and we definitely take it as a fun time to get into the spirit of what Irish means for Americans. But over there it’s a much more conservative holiday, in which they’re truly respecting their ancestors, as well as Saint Patrick. It is not a controversial holiday, however, as many are, because it’s a communal holiday that both religions celebrate. St. Patrick lived prior to the reformation and lived a devout life in which he used the shamrock to explain the trinity. This is why we wear green to celebrate St. Patrick’s Day. We purposely bring the teens over here in July to get them out of the area at that time. In July in Northern Ireland, many Protestant protests go on for the William of Orange marches, and so that is a very violent time; the Protestants march in Catholic neighborhoods. A time like that is much different than St. Patrick’s Day, when the nation is in celebration. It’s still not quite the boisterous activities we have here; not so much of the dressing up in green, not so much the leprechauns or the pub crawls. They do have smaller parades. But other than that … it is not the hunky-dory, “everyone drink green beer” celebration. How is the Ulster Project celebrating St. Patrick’s Day? We’ll be marching in the parade at The Gateway. We have “peace walkers”—mostly teens with their parents. We’ll have a Barnes & Noble celebration, where a percentage of the cost of books bought that day can be donated to the Ulster Project. We’ll have a booth open at the parade. It’s always about the peace; it’s about people being informed so they can move forward and progress and help. People think, “Oh, Northern Ireland, a hugely developed country; they don’t need a lot of support,” but really getting the knowledge and information out there is what counts.